Buying or Selling a Home? Choose Simpson Notaries. Conveyancing, or the purchase and sale of property, can be a very exciting but sometimes overwhelming experience. Let Simpson Notaries take the hassle out of buying and selling a home. Need your signature witnessed? Often appointments for notarizations can be made on the same day or handled on a drop-in basis. Fees vary based on the type and number of documents. Call us for more information. Convenient Office Locations in Chilliwack, Abbotsford and Hope. Simpson Notaries has been serving the Fraser Valley since 1968. Ample parking. Wheel-chair accessible. Chilliwack location also open Saturday's 10am - 3pm. 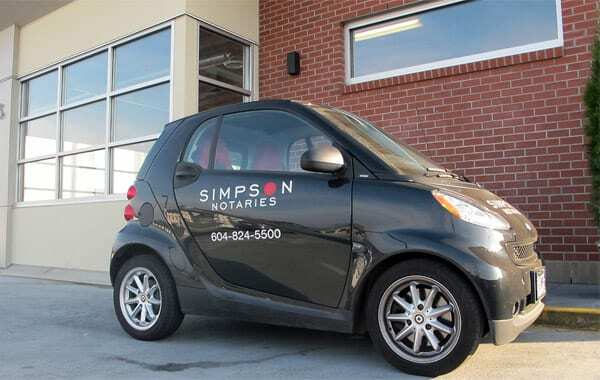 Simpson Notaries has been providing the highest standard of service to the community for over 40 years. We are comprised of hard-working folks from many different backgrounds, many of whom have been in the legal industry for most of their working lives. We offer a variety of services, including wills, conveyancing, notarizations, power of attorney, and representation agreements.